The Boise Project furnishes a full irrigation water supply to about 224,000 acres and a supplemental supply to some 173,000 acres under special and Warren Act contracts. The irrigable lands are in southwestern Idaho and eastern Oregon. Principal facilities include five storage dams (excluding Lucky Peak Dam constructed by the Corps of Engineers and Hubbard Dam a reregulatory facility) which form reservoirs with a total capacity of 1,793,600 acre-feet (active 1,663,200 acre-feet), two diversion dams, three powerplants with a combined capacity of 50,200 kilowatts, seven pumping plants, canals, laterals, and drains. The Boise Project Board of Control was formed in 1926 by contracts between the Bureau of Reclamation and the five irrigation districts representing the water users that make up the project. 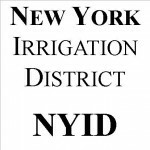 These irrigation districts are Big Bend, Boise-Kuna, Nampa & Meridian, New York, and Wilder. Each of the irrigation districts elect representatives in proportion to their acreage served by the district, and the Board of Control selects a manager to administer day-to-day operation and maintenance.